Can we all agree, lawyers are paid to tell the opposition, their client can’t be prosecuted, it’s up to the courts to decide, even if the client is The President? Can we all agree, despite the headlines, most us of are skeptical that Mr. Trump’s meeting with North Korea’s Kim Jong-Un will take place – especially if we have to pay his hotel bill? Can we all agree, EPA chief Scott Pruitt may be the most ethically challenged cabinet secretary this country has ever seen? Why does anyone need a personal flame thrower? Can we all agree, with his pardon this week, The President is making it clear a criminal conviction will be erased as long as you support him? Can we all agree, supporting aging and inefficient power plants is not the way to help the economy or the environment? Can we all agree, only time will tell if our robust economy can survive the administration’s new trade war with countries that used to be our strongest allies? Can we all agree, Kim Kardashian visiting the White House to discuss prison reform, should be a contradiction in so many ways, but in the Trump world, it’s just normal? 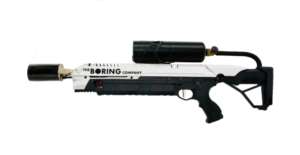 Can we all agree, the world does not need Elon Musk’s personal flame throwers? Can we all agree, when any group, like the congregation at this church in Oakland, CA., decides they are safer not calling police for help, it supports the thesis that our system is racist? Can we all agree, most of us already assume that our phone calls and texts are being monitored, so if spies are also listening in, it doesn’t make much difference? Can we all agree, Virginia’s decision to expand medicare, after the GOP almost lost control of their state legislature, shows that at least some politicians pay attention to voters? Can we all agree, Roseanne Barr and Samantha Bee both had bad weeks, but equating their transgressions is your typical apples and oranges: one was vulgar, the other was racist? Can we all agree, the best quote of the week came from the makers on Ambien, after Ms Barr blamed her tweet on the medication? Can we all agree, the resignation of Missouri Governor Eric Greitens, shows that the “Trump strategy” or continual denials, despite the facts, will only go so far? Can we all agree, the documentary featuring Supreme Court Justice Ruth Bader Ginsburg, should be seen by everyone? Can we all agree, the real death toll in Puerto Rico from Hurricane Maria (well over 4,500) should be an embarrassment to every American, including Mr. Trump? Can we all agree, if the administration refuses to consider immigration reform, and reign in the efforts of ICE, the issue will continue to spur Democratic voters in the November elections? Can we all agree, most of us don’t even recognize some of the words used in this year’s national spelling bee? Can we all agree, 3251 false claims or outright lies by the President in 500 days is a record we hope will never be broken? Can we all agree, we barely blinked this week when the Federal Reserve suggested rolling back some of the rules designed to prevent a repeat of the banking crises of 2008? Can we all agree, a video game which features gunmen shooting up a school, should never have made it past the initial pitch stage? Can we all agree, House Republicans, deserve credit for their inventive rationales, in deciding not to seek re-election? Can we all agree, Republican Senator John McCain and Democratic Congressman Adam Schiff seem to have a lot in common? Can we all agree, it’s incredible that Italy seems to think Trumpism is working so well here they should give it a try and the EU? Can we all agree, if you can’t convince a GOP Congressman that your attacks on the special counsel are warranted, you should probably give up? Can we all agree, this video by the the alleged Parkland, FL shooter is chilling? Can we all agree, It seems pretty clear the administration never really wanted a new NAFTA agreement? Can we all agree, $16.7million to clean the Trump swamp and send him back to Mar-a-lago is a small price to pay? For the last 18 months, every writer, English teacher and journalist has wanted to red-line a Trump letter, like this teacher did. Can we all agree, now that Rex Tillerson has been fired as Secretary of State the only remaining questions is whether Mr. Trump will fire the rest of his cabinet in alphabetical order or by height? Can we all agree, many in the GOP appear to be in denial about the trouble they face in the upcoming election season? 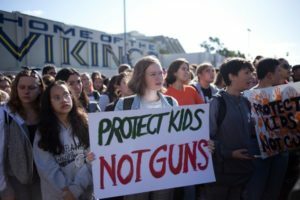 Students protesting gun violence in schools. Can we all agree, Mr. Trump’s about-face on gun restrictions shows that this week’s student protests will have little short-term impact? Can we all agree, it’s hard for non-engineers to believe that cracks in a newly installed bridge, like the one in Florida, do not pose a safety issue? Can we all agree, #1 Virginia’s loss to a #16 seeded team, is the reason we all watch the NCAA basketball tournament? Can we all agree, firing former acting FBI chief Andrew McCabe, late on a Friday night, just 24 hours before he was to retire was just petty? Can we all agree, Stormy Daniels, The President’s former lover, is winning the PR battle with Mr. Trump? Can we all agree, charges against 5 doctors implicated in a drug kickback scheme are symptomatic of what’s wrong with the US medical system, where doctors are routinely paid to prescribe medications? Can we all agree, when the leader of the free world jokes about lying to another world leader. we lose all credibility? Can we all agree, the closer Special Counsel Robert Mueller gets, the more desperate Mr. Trump becomes? Can we all agree, Russian President Vladimir Putin will never admit he was responsible for poisoning two Russian citizens living in London, but it’s clear the evidence was convincing enough for all the West’s major powers to condemn his actions? Can we all agree, we’ve never had a Cabinet that has abused the taxpayers as much as the current group? Can we all agree, Mr. Trump wants to appear tough on Russia, but he’s not going nearly far enough? Can we all agree, The FDA deserves some credit for finally regulating the amount of nicotine in cigarettes? Can we all agree, we all were once Toys R Us kids? Can we all agree, Hillary Clinton still refuses to accept any responsibility for her loss? Can we all agree, most of us do not understand Steven Hawking’s theories, but he occupied a unique place in popular culture? Can we all agree, the most stunning resignation of the week was the now-former ICE spokesman in SF, who said he would not lie for his boss and the Attorney General? Can we all agree, The House Intelligence Committee’s blanket dismissal of wrongdoing against the Trump campaign is so blatantly political that it is even making Republicans nervous? Can we all agree, Education Secretary Betsy DeVoss, probably could not pass the competency tests required for high school seniors? Can we all agree, China’s new leader for life will inspire other heads of state to try the same thing? Can we all agree, hiring someone with a serious gambling problem as your personal assistant would be bad for a CEO, but for The President it’s just astounding? Can we all agree, the head of the EPA doesn’t need a $43,000 sound-proof booth? Basketball Coach Steve Kerr knows what he’s asking about when he addresses gun violence. Can we all agree, after a year of trying to stop the investigation into Russian influence in our election, we now know why the President was so worried? Can we all agree, Special Counsel Robert Mueller’s investigation has now reached the White House’s inner circle? Can we all agree, if the President’s son-in-law, Jared Kushner, is indicted, can there be any doubt that The President knew what was going on? Can we all agree, Michael Flynn’s guilty plea to a single charge, suggests he has a lot to offer Mr. Mueller? Can we all agree, the Senate tax bill that passed last night, may be a hollow victory and the public really does not care? Can we all agree, there will be winners and losers, but the long term implications are unknown, even to the GOP? 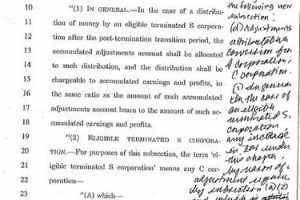 Can we all agree, passing major legislation which includes handwritten notes in the margin is no way to run a government? We’ve been arguing over commas in the Constitution for over 200 years. Can we all agree, the public will be more concerned when the government shuts down, as the President apparently wants? Can we all agree, Kate Steinle’s family may be paying the price for Donald Trump’s decision to make her death at the hands of an illegal immigrant, a campaign issue? Can we all agree, it’s a bit incredulous that the Charlottesville police did not expect any violence at a white supremicist rally in their city? Can we all agree, it’s pretty clear blue states, like California, are not going to get much help from the White House when disasters strike? Can we all agree, taxpayers should not be footing the bill for sexual harassment settlements by members of Congress? Can we all agree, if the GOP thinks tax cuts for the wealthy, combined with cuts to entitlement programs such are Medicare and Social Security, will win them an election, they are delusional? Can we all agree, if Sen. Al Franken is forced to resign the President should too? Can we all agree, we all wish we had four houses to put up for bail so that we would not have to be confined while awaiting trial? Can we all agree, with their missile launch this week, North Korea has called Mr. Trump’s bluff? Can we all agree, any woman can tell you the list of sexual harassers will get longer before the activity ends? Matt Lauer and Russell Simmonds are this weeks’ high profile additions. The jury is still out on Garrison Keillor. Can we all agree, Mr. Trump does not even understand why the world is troubled when he retweets a false and misleading video from a fringe anti-Muslim group. If I were in England I wouldn’t want him to visit either. Can we all agree, the answer to the opioid crises is not more DEA agents? Can we all agree, the White House can deny it all they want but Secretary of State Rex Tillerson is effectively a dead man walking? Can we all agree, between his lies and altered reality the President has a very tenuous grasp of the job he is supposed to be doing? Can we all agree, no one is surprised a Trump appointee ruled in the President’s favor giving him control over the consumer finance board? Can we all agree, the Russian teams should be banned from the Winter Olympics in February? Can we all agree, Project Veritas has no place in US politics, even if the Koch brothers are backers? 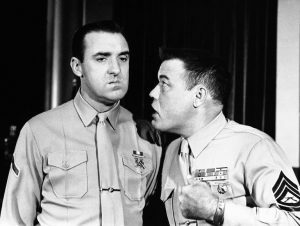 Can we all agree, The President is so obsessed with Elizabeth Warren, he doesn’t mind insulting military veterans? Can we all agree, we need the British Royal Family and a wedding, to take our minds off our own government? Can we all agree, Ivanka Trump seems clueless about the incongruous image of her promoting women’s rights while in India where her goods are made in sweat shops?